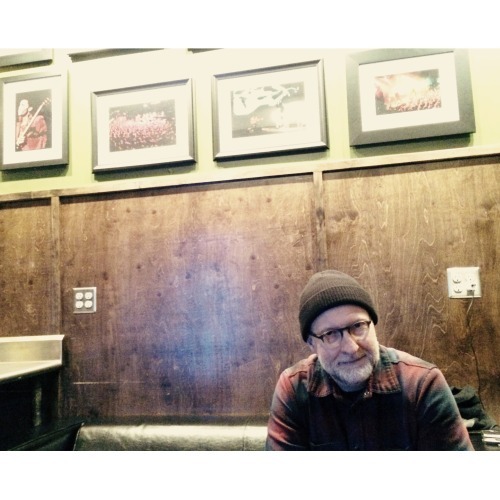 In advance of his two night run on the Mainroom stage, Bob Mould was gracious enough to chat with us about life, fame, and staying sane in a digital world. Bob Mould: I was born and raised in the Adirondaks but I moved here when I was 17 to go to Macalester. FA: No way, so did I.
BM: Oh cool! Did you graduate? FA: Yeah, but did you pick up a loathing for bagpipes? BM: No, I actually bought bagpipes when I was over in the UK in ‘85! FA: Can you play them? BM: I can play the chanter but I can’t keep the bags droning. FA: Yeah, you can’t learn to play the pipes quietly. BM: Nope. You have to have a big open field to rehearse. There are a lot of bagpipers in San Francisco where I live now because Golden Gate Park is pretty big so all the bagpipers in America have gone there. FA: That’s really funny. What did you study in college? BM: I ended up inventing a major, which I guess is a regular major now, called Urban Studies. It was like sociology, geography, economics, poli-sci, statistics… I had a really great sociology professor who was sort of my mentor in college and she and I designed this major. I, unfortunately, did not obtain it. I missed it by a semester. I ended up touring with a rock band. It worked out. FA: Before you found music, what did you think you wanted to be when you grew up? BM: That was pretty much the first thing I think I found. When I was a little kid, I got into music really, really early. I started teaching myself music on a piano and then writing songs on a keyboard when I was nine and then picked up a guitar at 15 or 16. FA: So it’s always been pretty clear for you. BM: Yeah. I didn’t know from, like, 13 to 16, I wasn’t real sure. It was like a hobby with other hobbies. But at 16 I was like that’s it. I went to college and sort of faked my way through it but then music came in again and that was it. FA: How do you feel about the Internet? Do you use it a lot? BM: Yeah, I guess. I use it for most of my entertainment, for streaming radio, email… I try not to use it all the time. I’m not a big social media guy. I think it really gets in the way of real friendships. FA: Can you imagine the trajectory of your early musical career being different if it had coincided with the rise of the Internet? BM: Yes. Completely different. The Internet has created the ability for people with very specific tastes in music to find each other much quicker than they would have in the analog days. It also… I grew up in the era when there was mystery. When you didn’t know that much about Alice Cooper or Kiss or the Ramones. They were these floating objects that you couldn’t define and now everybody has to Instagram every meal they eat and I sorta like a little bit of that mystery. I think everybody’s competing to overexpose themselves. It’s a different place and time. So I think for people who are 30 and under, they have no idea what it used to be like, and they hear somebody like me tell stories and they’re like, “What? You’re making that up.” So I think for new musicians, if you go on Soundcloud with #psych #shoegaze #christian #death, you’re going to find those other 18 people who are looking for just those four things in one band, and it’s good for that. But again I think it takes away a lot of the mystique and mystery of the art form. FA: So, considering you’ve had this amazing career spanning these things changing so much, how have you managed to not burn out and continue in a creative field where it would be so easy to lose that passion? BM: I don’t say yes to everything that people want me to do. I’m pretty selective about the things I choose to do, like interviews or letting people tape shows to broadcast. I don’t give everything away all the time, by being a little protective of what I can be about the work. Trying to keep it special for myself, to where I don’t feel like every day. Just be selective. I think that may keep me from being as successful as I should be right now, but it will keep me working longer if that makes any sense. FA: Totally. Not being afraid to say no. BM: If you give everything away all at once, there’s noting left to give. FA: Has there ever been a time in your life when you wish you were someone else? BM: Yeah, the nights when I lose my voice I wish I was somebody who didn’t have that problem. But no, I’m completely content with who I am. I’ve met people who were really successful and I see what they have to contend with every day, and I’m not built for that. A great example is Dave Grohl, somebody I have a lot of respect for, and to hang around the Foo Fighters a lot a couple years ago and get to play and do stuff with them, I see the demands on Dave. He’s built for it; he’s a people person, he remembers everyone’s name, always in pretty good spirits and he’s got a great support staff around him. I don’t think I could do that. So I see someone like that and people are like, “You must be a little resentful.” I’m like, “Absolutely not.” I can’t do that all the time every day. I know my limits. I do exactly as much I think I should do, as I want to do. FA: I understand. That’s why I ask other people what they do. Being famous is probably my worst nightmare. BM: I’m very fortunate that the people who know my work are very respectful of me and the work so I don’t have the crazy fan problem. People don’t come up to me in the middle of a mouth full of soup in a restaurant. They’re usually careful and I appreciate that. I can only imagine what it’s like for real famous people. I’ve seen it. It’s weird. I don’t know how people deal with that.